What's cookin', good lookin'?!? No? Ok lol. Looooong time no talk on here. I just wanted to quickly let you know that I'll be doing a makeup collection and storage video on my channel soon! I know that so many of you have been requesting for that video =) YAY I'M FINALLY DOING IT! PS: Thanks to Hollyannaeree for inspiring me to start up my blog again! She recently started blogging again which made me want to start blogging too LOL. The decor posts stuff sounds good to me! Specially now that i'm thinking about doing a new decor in my bedroom!!! I look forward to your posts and videos. 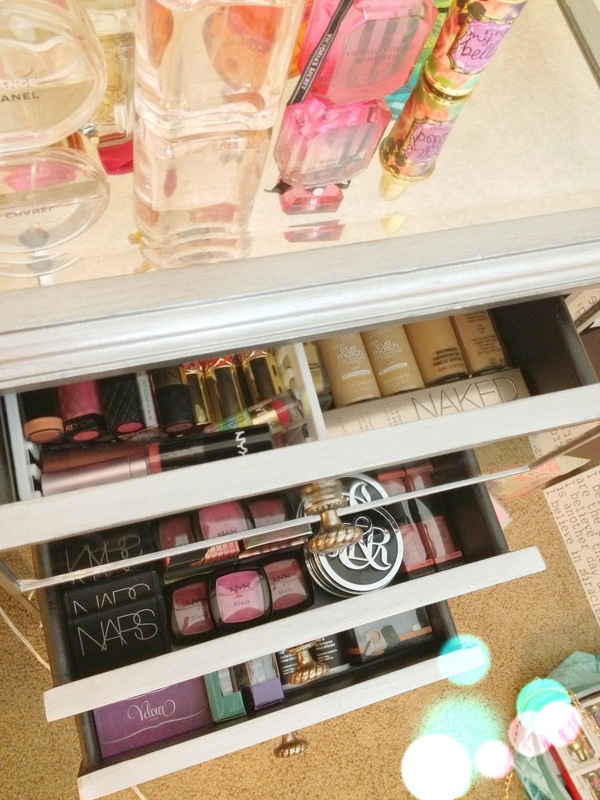 That's one nice looking and well organized makeup storage. so happy you're blogging again! Your photos are really nice! Did you use any applications?